Industrial painting is about more than just putting a nice color on the walls. With industrial factories, function triumphs aesthetics every time. The good news is that when you work with North American Coating Solutions, you can get great looking industrial paint that can withstand years of wear and tear. You don’t have to settle for less just because you need durable wall coverings. 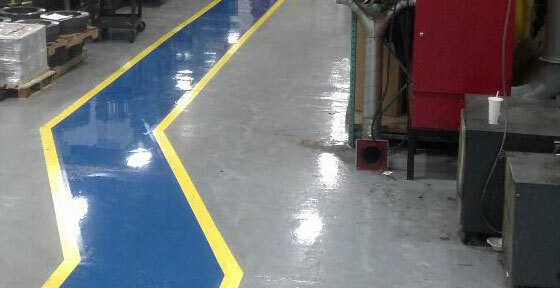 Take advantage of our industrial paint coating services to transform the look of your factory for the future. Get the protection you need and the quality you deserve with industrial painting services from North American Coating Solutions. Call (586) 226-9416 today to learn more about our amazing selection of industrial paint coatings. 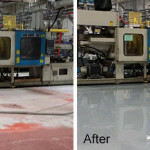 In addition to our industrial painting services, you may look into our industrial floor coatings to completely transform your factory or warehouse. Our epoxy floor coatings and concrete polishing solutions will protect your floors from chemical stains, scratching, chipping, cracking, and more, all while creating a solid foundation for you to work on. Customize your industrial floor coating to complement your paint scheme, and you will have a cohesive space people are proud to work in. Invest in our flooring restoration services to make the most of the concrete floors you already have, and top it all off with a fresh coat of paint on the walls. 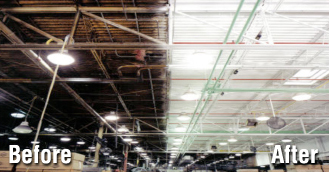 If you would like to know more about our industrial painting and flooring services, contact North American Coating Solutions today for your free quote. One of our professional painters will come out to your business to personally assess your project. Then we will provide an accurate and detailed quote for your services so you know what to expect ahead of time. Schedule your free consultation today so we can get started on your transformation.